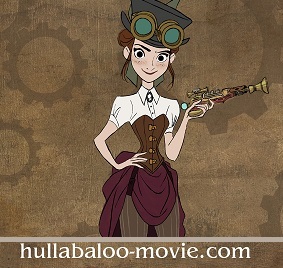 Can't get enough of Basil of Baker Street? Neither can we! 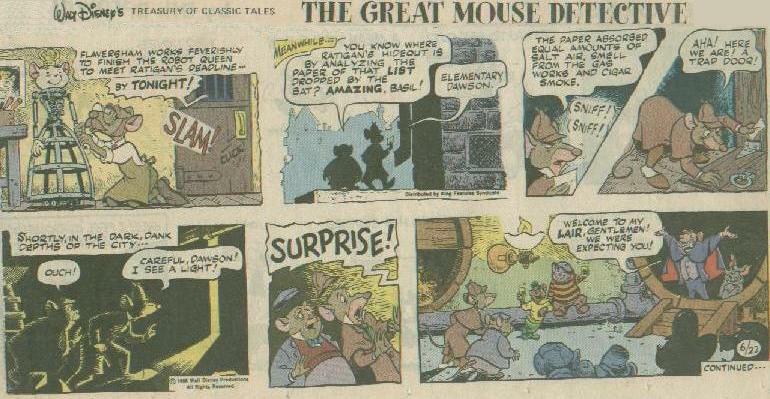 The animated star of Disney's The Great Mouse Detective has also appeared in several comic books and strips, some of which are reproduced here for your enjoyment. 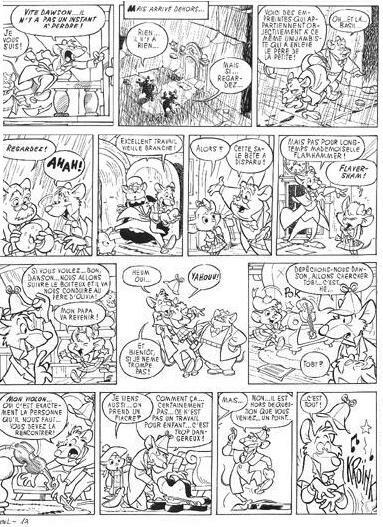 These are the official Walt Disney syndicated strips that appeared weekly in 1986 to promote the premiere of The Great Mouse Detective. 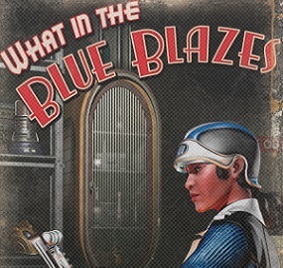 Unfortunately, a few chapters are missing. 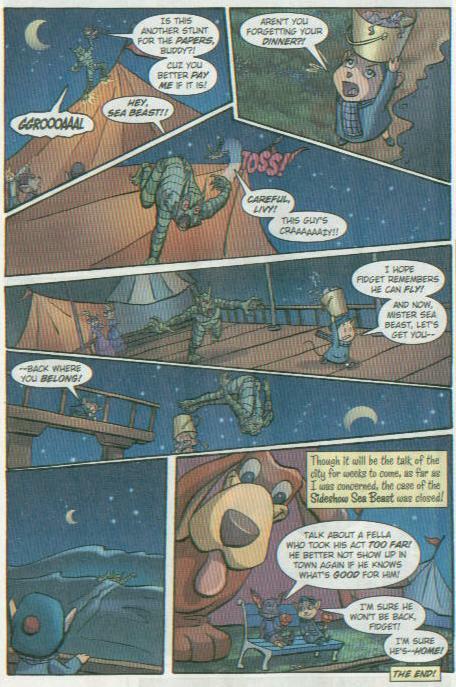 This is a short comic published in Disney Adventures Super Comic Special. This is an excerpt from a strip that appeared in France. 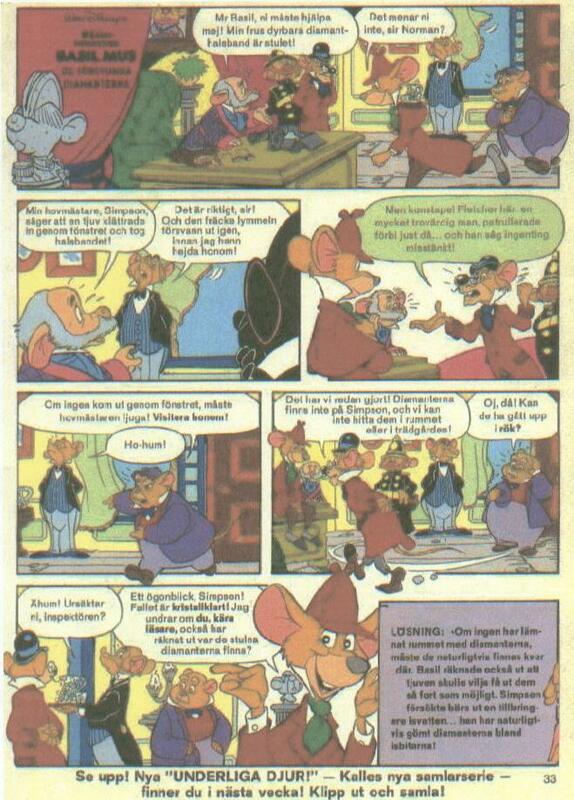 This is a one-page comic from Sweden. 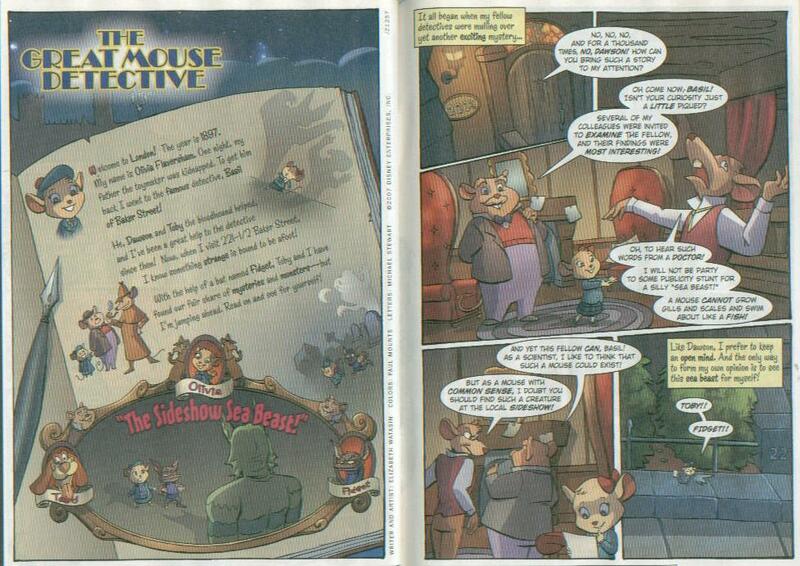 This is a comic story published in Disney Adventures, Nov. 2007. 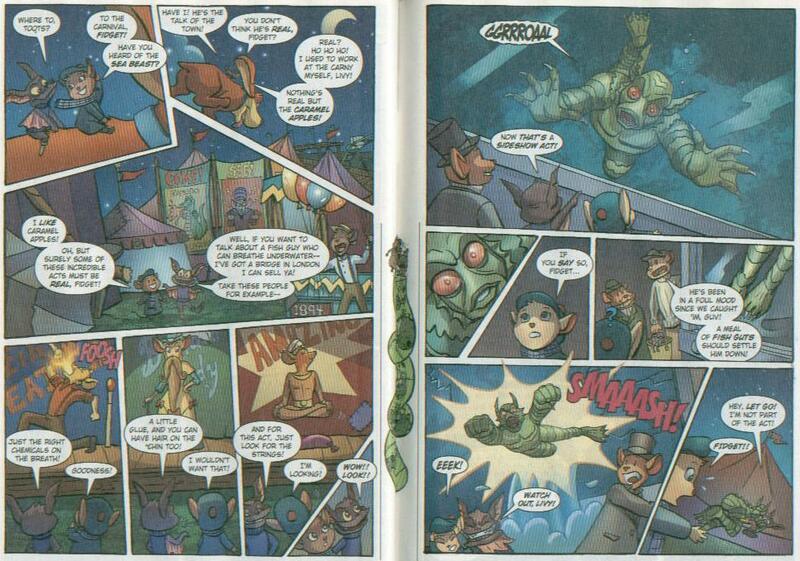 This is an excerpt from a comic that appeared in a Dutch magazine. 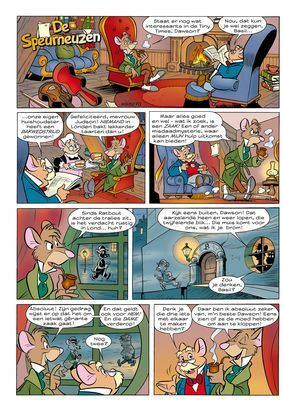 View some Basil comic book covers at the Great Mouse Detective Collectibles page.